Ford is announcing two recalls for North American that affect a total of 442,300 vehicles and multiple model lines.The larger campaign covers the possibility of electric power steering systems that can fail in the 2011-2013 Ford Flex, Taurus, Lincoln MKS, and MKT; the 2011-2012 Ford Fusion and Lincoln MKZ; and the 2011 Mercury Milan. This recall affects 422,814 vehicles in North America, including 393,622 in the United States, 25,195 in Canada, and 3,997 in Mexico. According to the company, an intermittent electrical connection can cause the power steering to cut out, although manual steering would still work. Ford knows of four minor accidents from this issue, but there are no injuries. Depending on trouble codes from the vehicle, dealers will either upgrade software for the power steering control module or replace the steering gear. 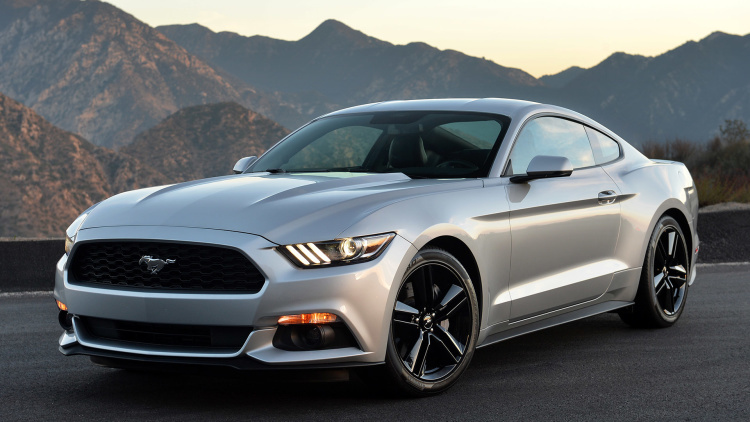 The second recall covers 19,486 examples of the 2015 Ford Mustang with the 2.3-liter EcoBoost turbocharged four-cylinder engine with a production date between February 14, 2014, and February 10, 2015 at the Flat Rock Assembly Plant. Specifically, there are 19,095 of these in the US and 391 in Canada. These pony cars can show elevated underbody temperatures, which can lead to degradation of the fuel tank, fuel vapor lines, and parking brake cable seals. There are no reports of accidents, injuries or fires from this, though. To fix things, dealers will install a better-insulated fuel tank shield, add thermal patches around the tank and parking brake cable, and put thermal wraps around the fuel vapor lines. You can read the specific build dates and locations for the models affected by the power steering issue in Ford’s press release below the video.